Scientists never cease to amaze us. One of their discoveries is a new dental replacement procedure which seems to be far better than getting artificial teeth or regular dentures. Tooth loss is something that we all experience once in a while. In fact, a study says that 26 percent of people lose all of their permanent teeth by the time they are 74. One of the reasons why we all have so much hope in stem cell research is because dentures are rather uncomfortable and have a fair share of issues. When it comes to dental implants, the problem with them is that they can’t “remodel” as the jaw bone changes with time. Also, some people’s jaw bones and gums are just not suitable for implants. So, this new medical method which involves human tissue could change the lives of many people. The Journal of The American Dental Association published a study which says stem cell implants could help us regenerate our own teeth. This investigation was headlined by the Professor of Dental Medicine, Dr. Jeremy Mao. The procedure involves implanting a scaffold into the root of the tooth we are missing and infusing stem cells which can trigger regeneration of anatomically ideal teeth in about 2 months. Isn’t this fascinating? This groundbreaking research was funded by the University of Columbia where it was actually conducted. Basically, researchers used natural materials compatible with our saliva to make a little scaffold that was implanted into the cavity. A tooth will start growing in the socket as soon as the stem cells colonize the scaffold, eventually merging with the surrounding tissue. The idea of the researchers is to allow our body to provide the “bricks” needed for forming a new tooth in the same way as we build a structure. In that way, they expect a new anatomically correct tooth in a little more than two months. Researchers made the first experiments outside of the human body, but the procedure is fascinating and takes dental surgery to a whole new level. They used rats but the findings are the first evidence of regeneration of anatomically shaped structures resembling teeth in vivo with stem cell homing and not cell delivery. The motivation of Dr. Mao for this groundbreaking research was to find a cost-effective method that can provide therapy for people who are not suitable for dental implants, or who can’t afford it. 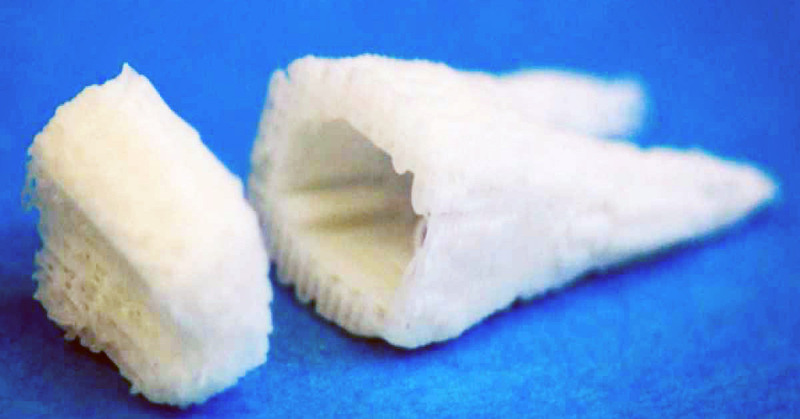 This approach enables faster recovery than the common implants. Still, it might be difficult for people to accept it because many of them don’t trust stem-cell medical procedures. That’s because they think all procedures involving stem cells require genetic modifications, which is not true in this case. This new dental procedure is completely natural and does not undergo any form of manipulation. But, others are excited about this new approach which will save them from all the pain and discomfort that comes from getting dentures. The University of Columbia has already filed patent applications for the new medical technology, so we hope we would be able to get a new set of white teeth very soon.